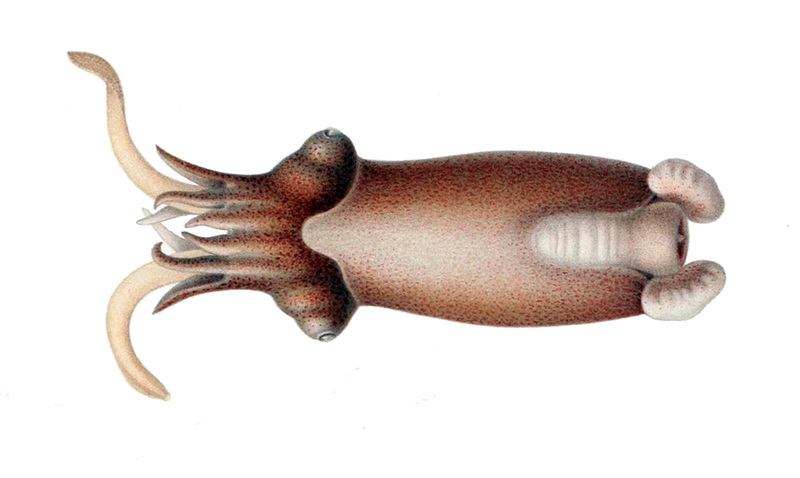 The most unique and mysterious cephalopod you've never heard of! There are 6 species of Nautilus, with their coiled shell and dozens of tentacles. They're quite distantly related to all the others. There are about 300 species of octopus and one, lonesome species of Vampire Squid, both of which are in the superorder Octopodiformes. Tip of a Spirula tentacle. Look at all the tiny suckers! 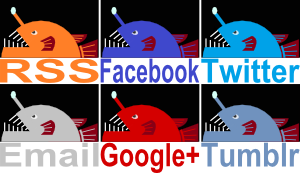 The other four groups all belong to the superorder Decapodiformes. These are the cephalopods that have 8 arms plus a pair of long tentacles. It's split into four orders: at least 300 species of squid, 120 cuttlefish, 70 bobtail squid and... Spirula. As far as anyone can tell, there is just one living species of Spirula. It's called Spirula spirula, and it's the only member of the Spirulidae family, the Spirulina suborder and the Spirulida order. I don't mind too much because all of these words are fun to say. They wash up on beaches quite often, where they're known as Ram's Horn Shell. 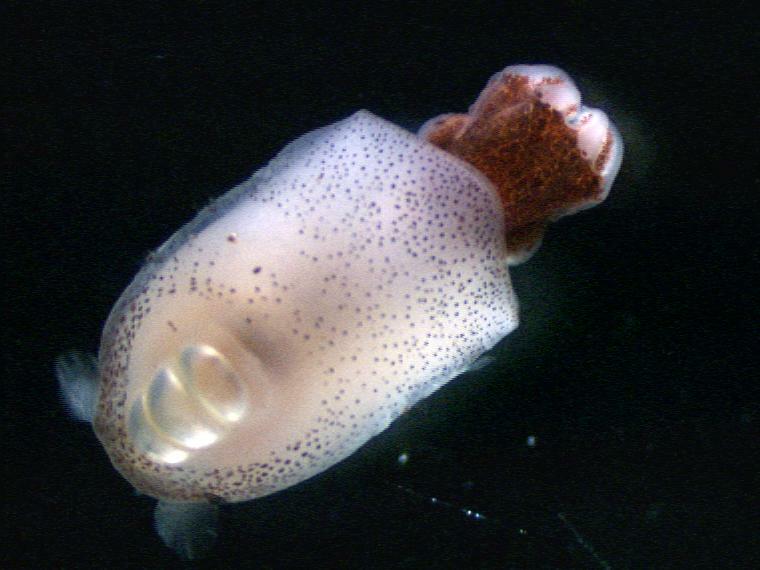 Baby Spirulas can hide their entire head and all their tentacles within this shell. Once they get older, they can only go half way. Spirula is one of the many deep sea creatures that embark on vertical migrations each day. During the daylight hours they hang out in dark, comparatively safe waters as much as 1,000 metres (3,280 ft) deep. At night, they rise up to depths of just 100 to 300 metres (330 to 980 ft). Even algae go through this nocturnal escapade, but Spirula is probably less interested in the algae and more interested in eating the things that eat the algae. Spirula's shell is so buoyant that they swim arse-up, with their tentacles dangling beneath them. The very tip of their back end is adorned with a photophore that lights up in a greenish colour. 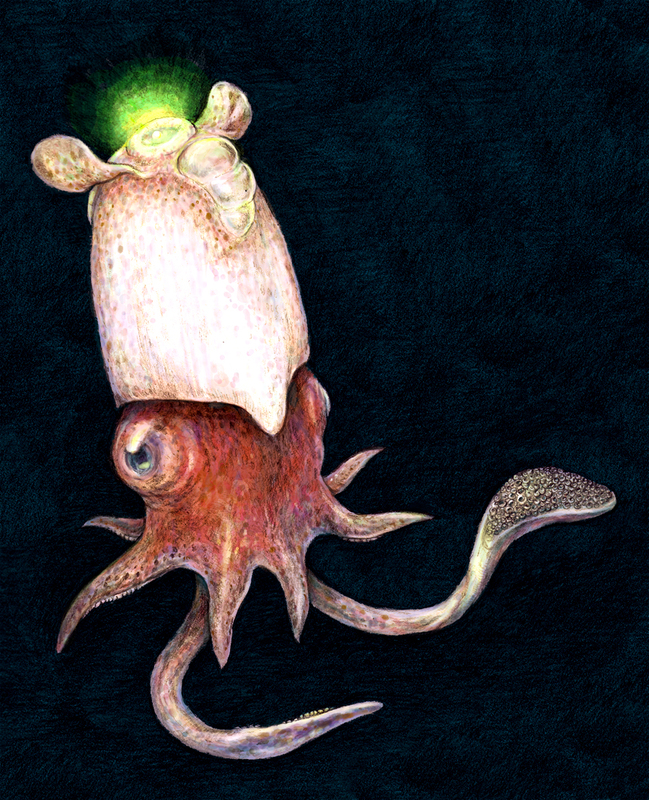 Most deep sea denizens light up to attract prey or for counter-illumination, where their underside glows a soft blue to mask their shadow against the surrounding twilight. So a green light that points up when your mouth points down is eccentric to say the least. It probably doesn't have a loudspeaker which says "this vehicle is now reversing", so no-one is quite sure what it's for. It's thought that Spirula live in large schools in various parts of the tropics, so perhaps it's for communication or some such. Look at those little fins! 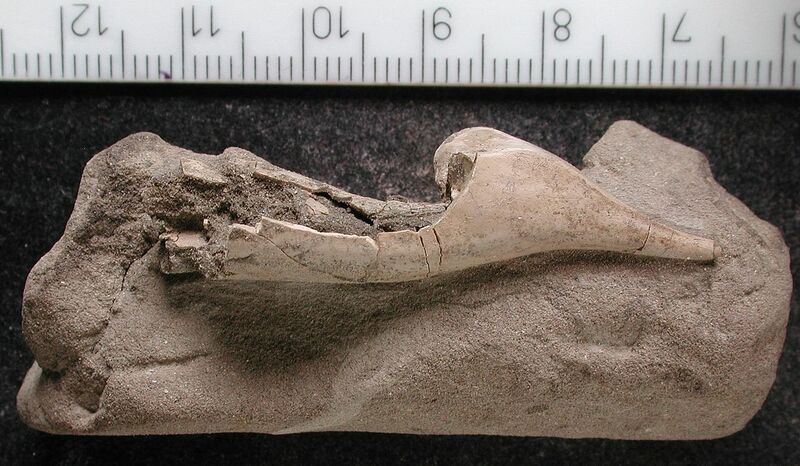 While Spirula spirula is the only member of the Spirulida order alive today, fossils of older, extinct species exist. These have a large, tough sheath that surrounded their shell and may have counterbalanced that remarkable buoyancy. This would have allowed them to remain horizontal, and perhaps live much closer to the bottom of the ocean. 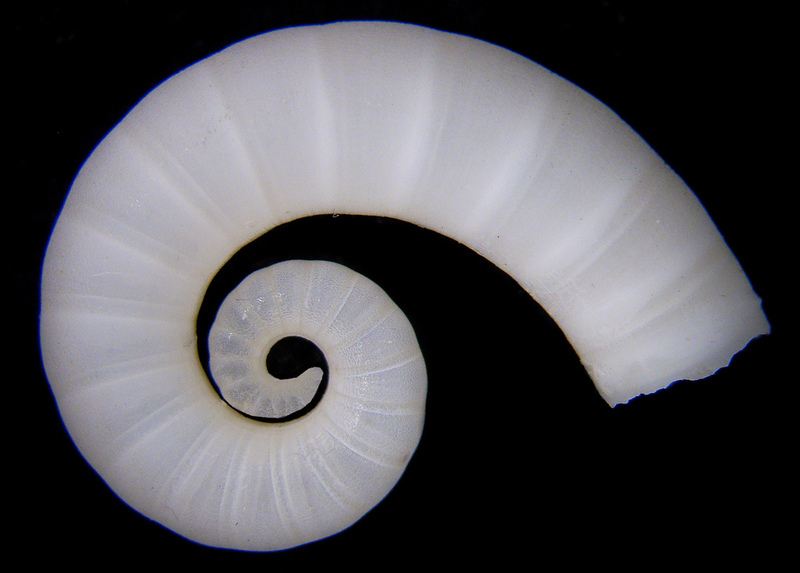 Young Spirula have been trawled up from waters as deep as 1,750 m (5,740 ft). 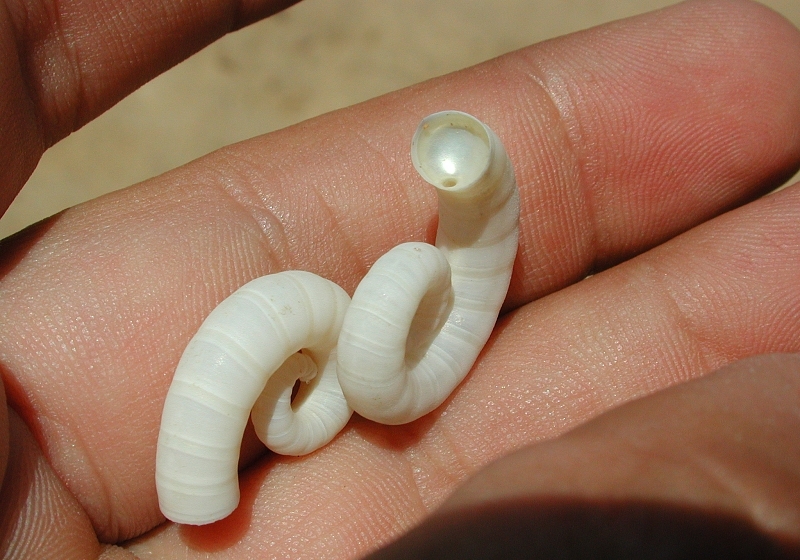 It could be that evolutionary history casts its shadow such that Spirula has to descend to the sea floor to breed and lay eggs, like how sea turtles commune with their ancient ancestors when they haul themselves up a beach to nest. It looks like the loss of that heavy armour was the best thing that ever happened to Spirula. Isn't that just life all over? One minute the best thing to do is sit safe and snug in thick layers of iron and steel, the next minute you're better off dropping it all and floating away. Bah! Fickle! At least something out there knows what's going on! Thanks to Dimitri and Lear's Fool who both suggested this one! I think the green light is because they're charging their laser for the night's battle. Without all that armor they've got to hit hard, you know! i like the ram's horn! Maybe they can collectively use their little green lights as laser pointers! You might be on to something, LF. Do these guys happen to swarm in the Bermuda Triangle? Turns out the kraken is 2 inches long!